This Is Heavyweight Boxer Florian Munteanu. He’s Playing Ivan Drago’s Son in ‘Creed 2’. Adonis Creed has finally met his match. Romanian boxer Florian Munteanu has been cast as Michael B. Jordan’s opponent in Creed 2, which is expected to begin filming in March 2018, according to Variety. The shredded boxer will play the son of Ivan Drago, the iconic Russian powerhouse played so formidably by Dolph Lundgren in Rocky IV. Lundgren is confirmed to reprise his role, which had previously only been (very strong) speculation, Variety also reported. Munteanu joins Jordan, Sylvester Stallone, and Tessa Thompson, who are all returning from the first Creed film. In the beginning of Rocky IV, the elder Drago kills Adonis’ father, Apollo Creed, in the ring at an exhibition match. It’s likely that Creed 2 will factor heavily around that conflict. Although no plot details have been released, all signs point to a faceoff between Drago’s son and Adonis facing off in the boxing ring at some point. The story almost writes itself: The ascendent Creed facing off against the son of his father’s killer, and Drago’s son seeking revenge for his father’s humiliating defeat at the hands of his opponent’s coach. Steven Caple Jr. is directing the film, which has a script from Stallone and Luke Cage showrunner Cheo Hodari Coker. The crew will need to have a quick turnaround on the film, since it’s set for a late November release. The first Creed film, which was directed by Black Panther helmer Ryan Coogler, was a critical and box office success, making more than $170 million worldwide. 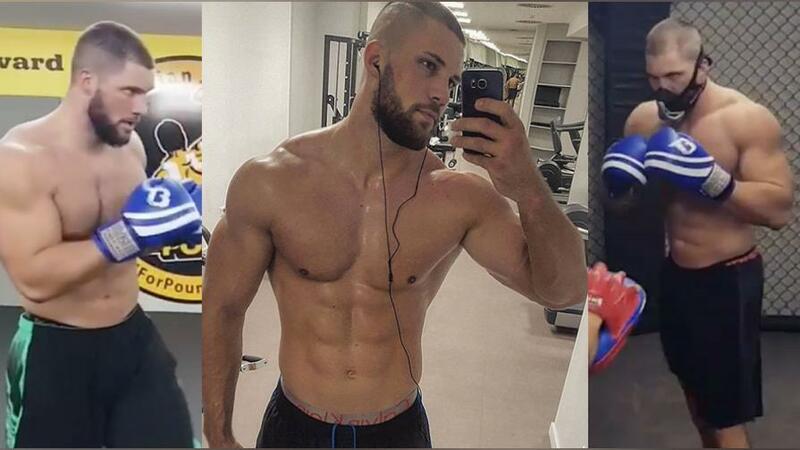 Here’s everything you need to know about Munteanu and his massive muscles. UFC fighter Sage Northcutt had said he’d auditioned for the role, but the producers clearly opted for an actor with more of a physical presence. Northcutt is certainly a shredded specimen, but at 6′ and 170lbs, he’s not quite as imposing a force as the 6’4″, 245-lb Munteanu.  HAPPY NEW YEAR  . I end the year with my fav pic of 2017, shot this summer in Los Angeles . . It was a tough year for myself…some ups⬆️, some downs⬇️, some highlights, some self-doubting moments 樂…a true roller coaster ride . . But I believed in myself and never stoped working . A wise man told me this year (no sh*t): “In the end everything will be fine. And if it’s not fine, it is not the end yet.”  . I will spend most of the time of 2018 in LOS ANGELES again, working on a great project there. BIG NEWS are coming soon ✔. . I wish u all a great new year 2018 and specially health for you and your families. Spread love & peace ❤. La multi ani România . La multi ani romanilor de pretutindeni ❤. Va pup pa toti din suflet . Dac mandru, hai România ✊❤ . 1st December, National Day of my home country Romania 珞. 6. Did we mention Munteanu is huge?